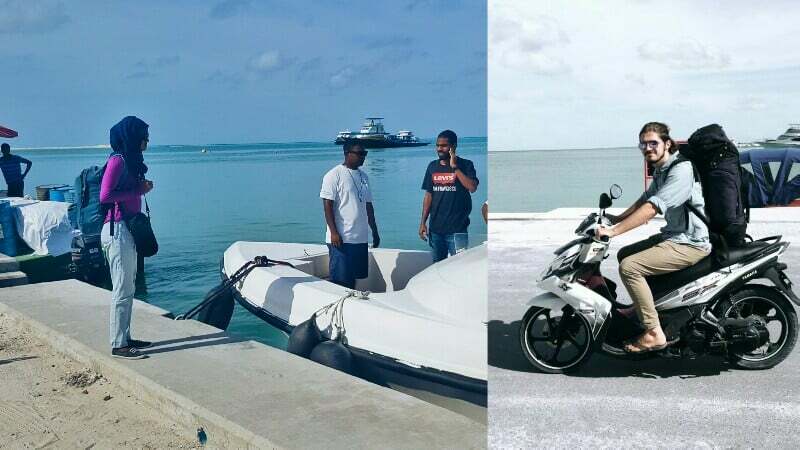 After five days in the atoll capital, we caught a couple of launches, and one top-heavy motorbike, to the airport island of Kaadedhdhoo and then onto Madaveli. What with the short distance and regular ferries, this one wasn’t a tough trip to arrange. But by the looks of the reclamation work going on, it seems we might be able to walk to the next island, Hoadedhdhoo, if we wait a few days here.